We all had an artist in us in our childhood, but whether we were good at it or not that is a different thing. For some, the act of art is just a mandatory class that they needed to pass. But for some specific others, it becomes the passion of their lifetime. A good artist can make their artwork say a million words. 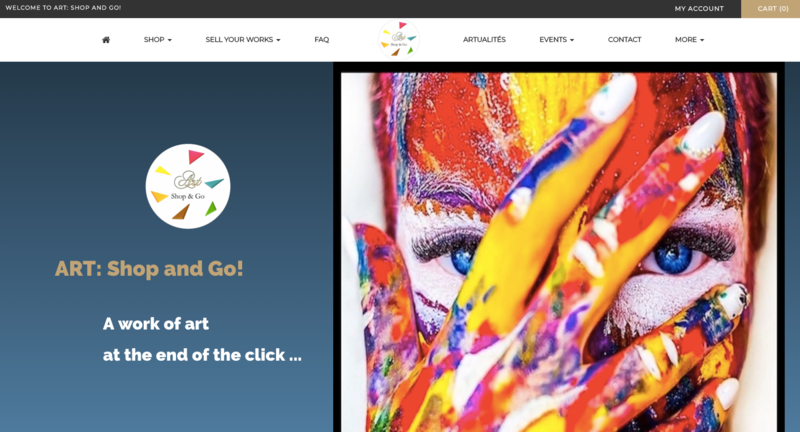 So for such passionate one's ArtShopAndGo.com has brought in an art marketplace where all the talented artists around the world can showcase their talent by sharing their fantastic creations. 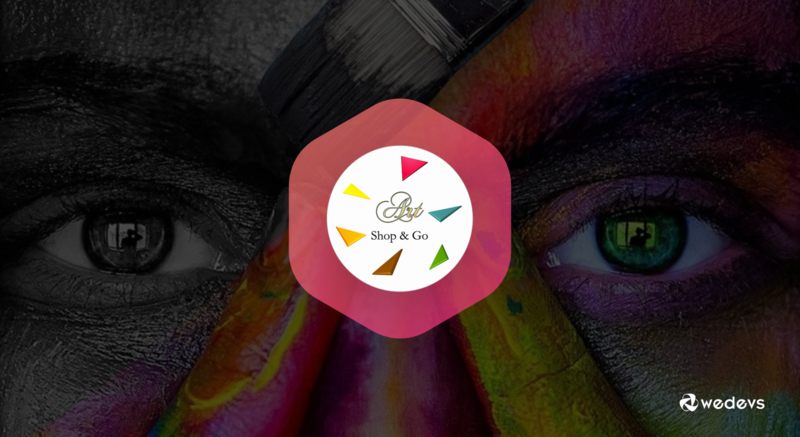 In short, any pro/amateur artists or designers can display and sell their unique artwork to the world via ArtShopAndGo.com. We are using Dokan solutions for our online art marketplace (www.artshopandgo.com), based in France. ArtShopAndGo.com is a France based multivendor art marketplace that started their journey of selling artwork just a few months ago. 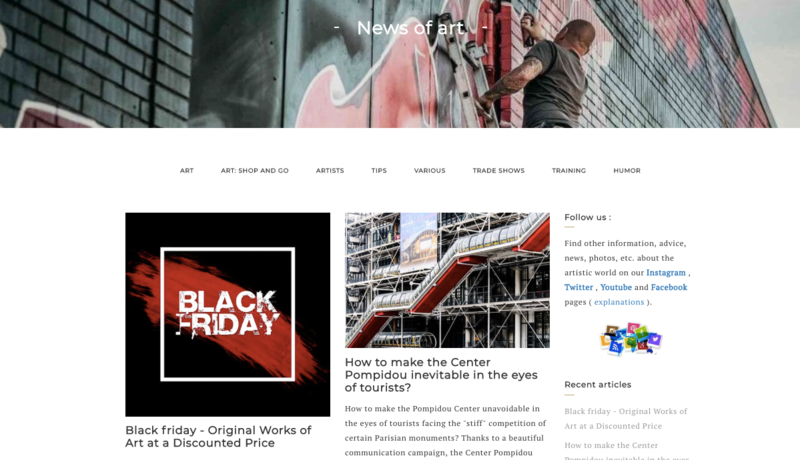 It is an art website that encourages enthusiastic artists worldwide to sell their excellent piece of artwork as a vendor to the local or international customers and art seekers. So the ArtShopAndGo.com owner's words said it all. 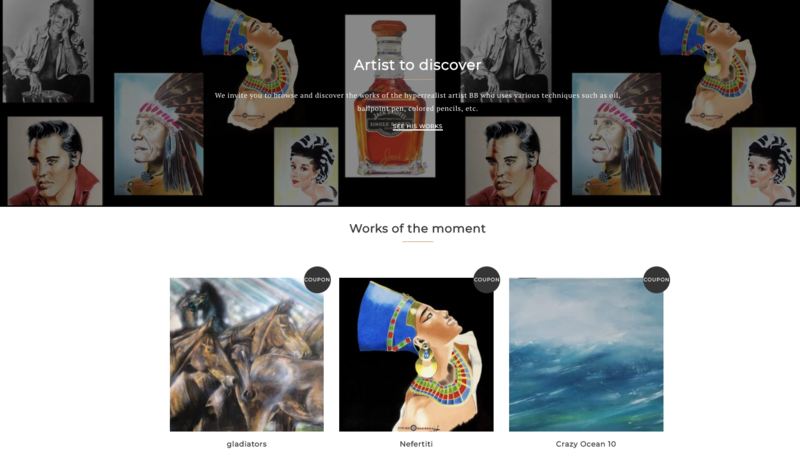 As we already know the main purpose for them was to have an artwork multivendor marketplace where different artists will be able to upload their own pieces of artwork in order to sell them directly to any customer or collector living all over the world. And Dokan Multivendor Marketplace solution simply does what it promises them and completely suits their artwork marketplace business, living up to all the expectations. Dokan's super prompt customer support team is something that most Dokan users are totally fond of. And it was nothing different for ArtShopAndGo.com as well. Moreover, Dokan team's eagerness and ever ready attitude to try and resolve any issue that comes their way is also one of the reasons for them to turn to Dokan and also to keep using it. We launched our marketplace 2 months ago and we have a good feedback. According to the owner of the art marketplace, Jean-Max Boxele, since the time ArtShopAndGo.com got launched, it is getting a good response from the vendors and their feedback is helping them a lot. As the marketplace just began its journey the sale is currently on the slower side due to the summer holiday. But Jean-Max Boxele is hopeful that once the people come back to work, the response towards their marketplace will get much better. There is a portion in the website named ‘Works of art' that showcases all the artwork uploaded by different artists. The artworks here are well descriptive along with its price tag attached under each of it. As a customer, you can browse through those artworks to add to cart or favourites if you like any to buy. You can also search artwork category wise or filter them with a price. 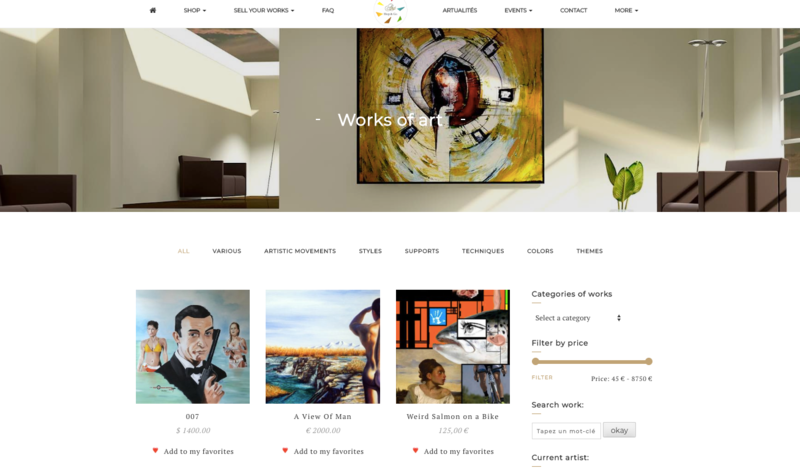 The ‘Sale Your Works' tab is a dedicated space in the website to sell the artwork online by any artist. So an artist getting into this section can learn about how and why they would sell their artwork from here. This tab in the website is the place to explore all registered artist and their galleries. Clients can browse and discover various types of art galleries from diverse artists who use techniques such as oils, coloured pencils, ballpoint pen etc. to put life into the artwork. The website shares news and interesting articles related to art, artist, offers etc. The posts are categorized in several easily understandable subtabs at the top of the page. Any visitor can enlighten themselves with the latest news and updates regarding various shows, training sessions, tips and tricks and much more. 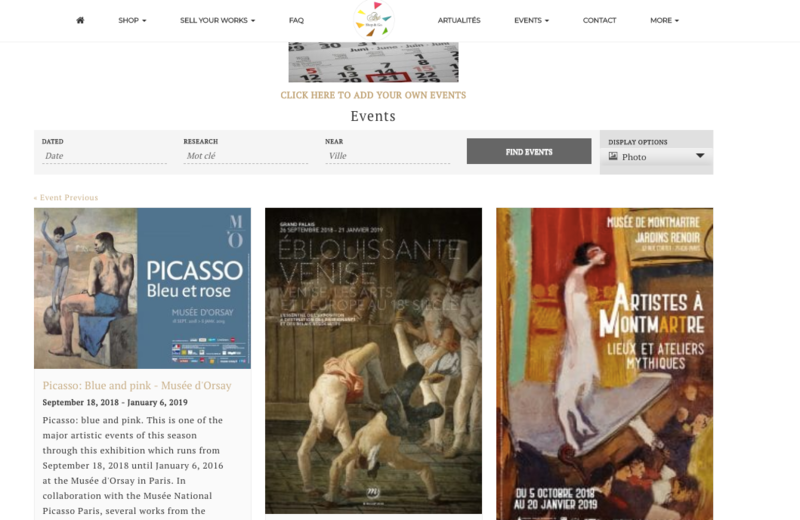 The website has the list of any events related to art, exhibitions etc. As a marketplace visitor or artists, you can look for events that are taking place. Not just finding the events, you can even create and add your own events. This could be helpful in letting people know about it right from this marketplace. Moreover, this marketplace has all the regular option of a multivendor e-commerce store. You can just register to the site for free and become a vendor to sell your artwork anytime you want. As a genuine art lover, you can cart your desired artwork to buy it from here. For common queries, it has the FAQ section where you can get all the general questions answered. In the marketplace, you can add your own events and check out the list of events that are active and running. Also, as a new visitor to the site, you get to know the services that it provides to its vendors and customers. It makes it easier for the user to get a good idea about the marketplace's dealing mechanism beforehand. Not to mention all the detailed information that you can get such as the terms of sales, terms of services, protection of personal data, delivery, the right to retract, legal notice, reviews and comments of the customers, tax exemption for the company, info of the partners and link etc. The experience of handling the tools for the vendor in a marketplace differs from person to person. Some people are technical and for some even simple task in a computer might seem complicated. This is also the case for the vendors in ArtShopAndGo.com. As according to the owner of the art marketplace, many vendors might require constant technical support. Mostly to manage their store even if there are a bunch of easy tutorials available. So there are a few suggested recommendations for Dokan that ArtShopAndGo.com owner feels if improved would be quite helpful for them and its vendors. In many cases, the vendors feel their job is done once they upload their artwork image putting up a title. What they forget is that entering the item description, its quantity, relevant product information, bank details in which they will receive the payments of the sales is equally important. So since many vendors systematically forget to enter these details related to their photo, therefore it is believed that it would be better if those fields were made mandatory to fill up while uploading their items. The user feels another scope of improvement could be in entering the zip codes involved in the shipping methods. You can't really expect people to spend hours entering hundreds of zip codes that they need to know. This is the restriction of shipping areas by entering zip codes. So, it would be much easier for all if restrictions are made by the city, state or region. Well, there you go, now you know how easily ArtShopAndGo has created its artwork selling multi-vendor marketplace using Dokan. Not just art marketplace, if you have any plan to create any comprehensive multivendor marketplace like eBay, Amazon etc. in minutes then Dokan is here to help you do that. 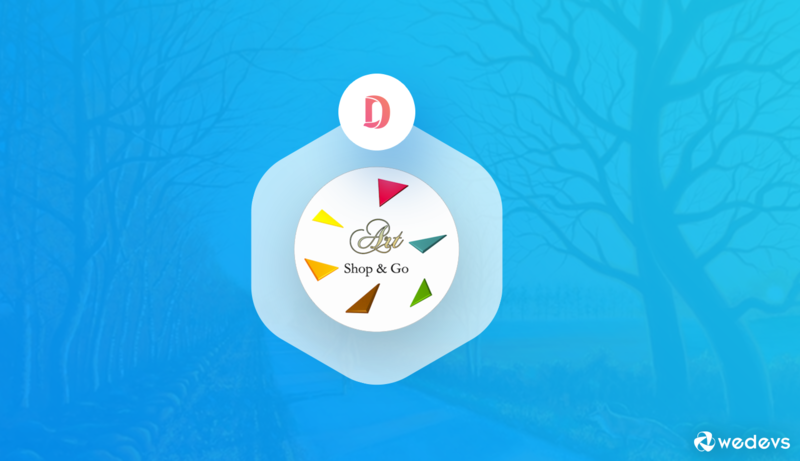 As the owner of ArtShopAndGo owner feels, Dokan gives you that perfect platform where you can give your vendors all the options they need to fully operate a multi-vendor marketplace on their own. Once the marketplace is set up, you don't really need to do much. The vendors and their store take care of itself. You can just sit back and enjoy the earnings you get from the sales commission of your vendors. If any of you has any motivating success story or any feedback regarding our blogs, products or services then feel free to let us know via the comments section below. Thank you for this article ! I appreciate it ! And keep up the good job ! Regards. 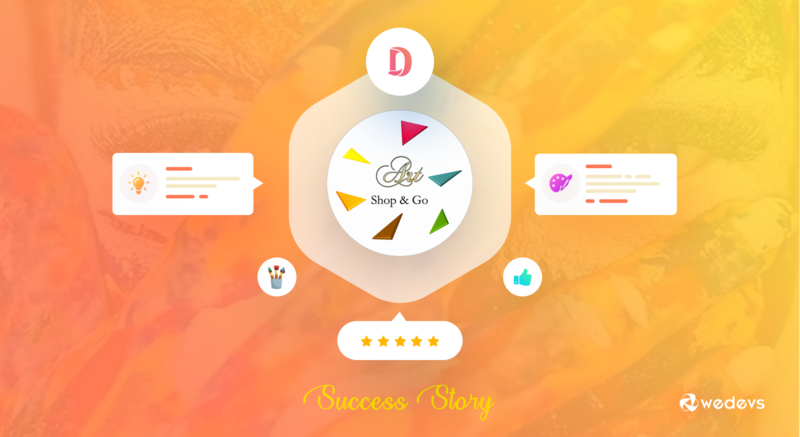 It was a pleasure sharing your marketplace’s success story on our site. So thank you for your appreciation and feedback for Dokan. This will certainly help us serve our clients better. I would love to pick your brain via email to on some first hand experience with the marketplace. @Jean, congrats on launching your marketplace, I would love to email you to pick your brain regarding your first hand experiences regarding this.